A poll about public toilets in Greater Dandenong attracted more than 17,000 votes from around the world. “There was even an allegation that Russian hackers had tried to influence the poll outcome,” Councillor Sean O’Reilly said at the Monday 26 March council meeting. He launched the Facebook survey on Friday 23 March following a bus tour of council projects. 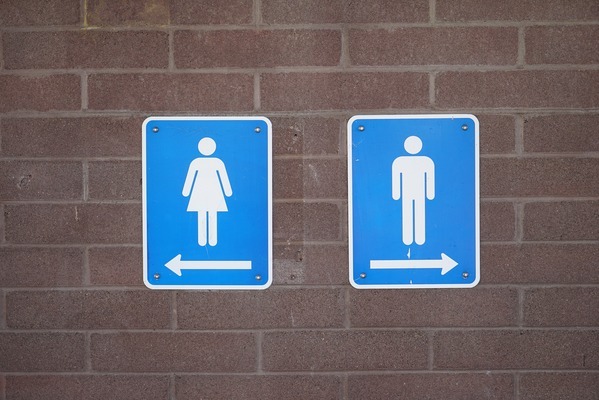 A new toilet block in Parkfield Reserve, Noble Park, had standard gender-specific labels for each loo. “Each toilet had its own four walls and was lockable,” Cr O’Reilly said. “I asked the council officers why this was so, when the trend seems to be towards unisex toilets. “The response was that strong objections had been received in the past towards unisex facilities. “I thought that during busy times, you see queues of women at public toilets while men have it quite easy. The poll attracted about 10,000 votes for traditional gendered toilets and 7000 for unisex within a week. “The poll has been shared hundreds of times, on pages across the world with names like the North Carolina Redneck Coalition and Left Leaning Liberal Patriots,” he said. “There is a wide range of views regarding safety, convenience, cleanliness, and inclusivity that this poll has unearthed. The acting engineering services director told Cr O’Reilly that there was no council policy on public toilets and consultation to create one would cost $80,000. Cr Tim Dark chimed in with a “here, here” whenever Cr O’Reilly raised opposition to unisex toilets. Cr Matthew Kirwan said he supported continuing greater use of unisex toilets. “I don’t think it’s that controversial,” he said. He mentioned several Greater Dandenong locations where they were already in place, including Menzies Avenue and Hemmings Park. “I haven’t had any complaints about those new toilet blocks,” he said.